Dropbox is the most popular consumer online storage platform, now with over half a billion users in the system. Their primary client is the Dropbox desktop sync client, which mirrors a folder named Dropbox out to the cloud. It works great. However, as the amount of data you deal with in Dropbox or the number of users all accessing the same storage in Dropbox for Business starts to increase, sync gets pretty messy. Things like figuring out how to deal with different users that only have permission to a subset of the data or dealing with a 5TB dropbox account with users that only have a few hundred GB of storage on their Windows 7 laptops start to become real problems. ExpanDrive solves this by letting you actually mount Dropbox as a virtual drive on Mac and Windows. This lets you access your content natively, from Finder or Explorer, without having to sync the data. It’s all on demand, like a regular native filesystem. To get started, you want to download ExpanDrive. 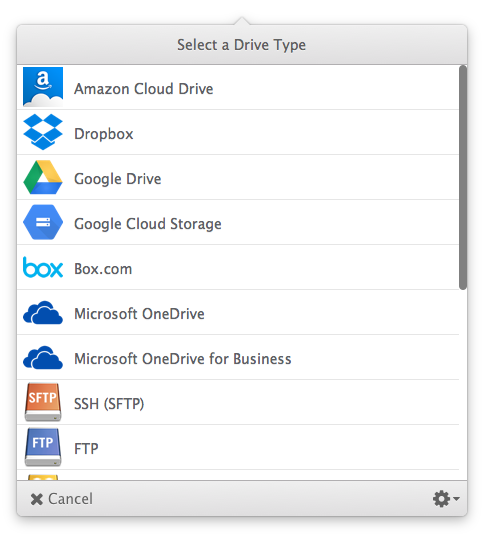 Once you’ve downloaded and installed ExpanDrive, you’ll want to select the option to create a new Dropbox Drive. 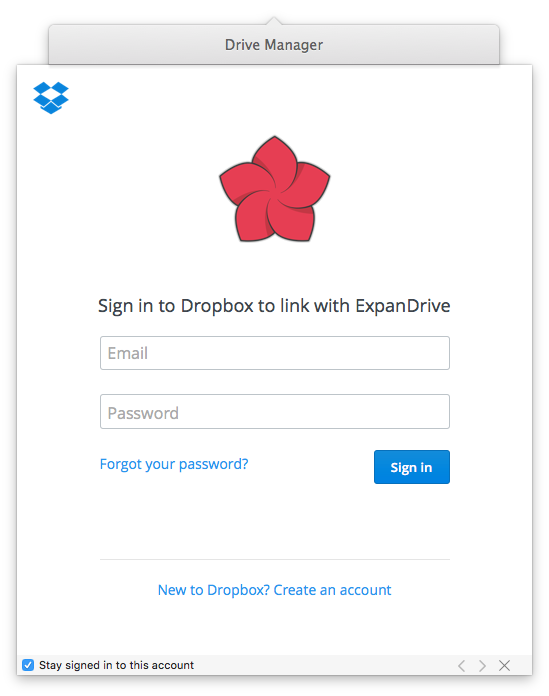 ExpanDrive will now ask you to authorize a connection between ExpanDrive and Dropbox. This is a secure direct connection between your computer and Dropbox, ExpanDrive has no server that sits in between you. Once you’ve established the connection, you’ll have a virtual drive accessible from every application on your machine including Finder and Explorer.